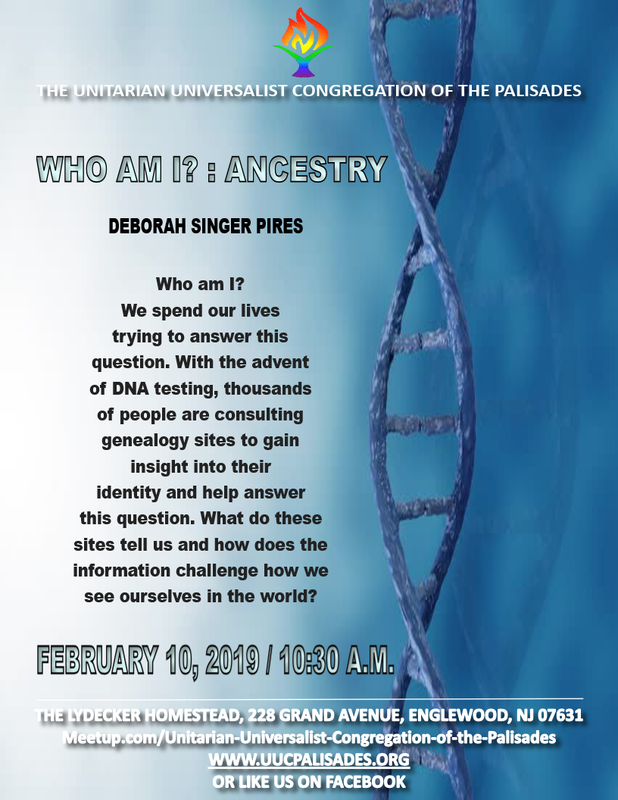 Please join UUCP for today’s service at 10:30 a.m. led by UUCP Co-President, Deborah Singer Pires. Who am I? We spend our lives trying to answer this question. 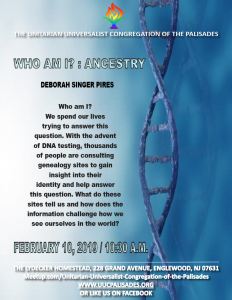 With the advent of DNA testing, thousands of people are consulting genealogy sites to gain insight into their identity and help answer this question. What do these sites tell us and how does the information challenge how we see ourselves in the world?